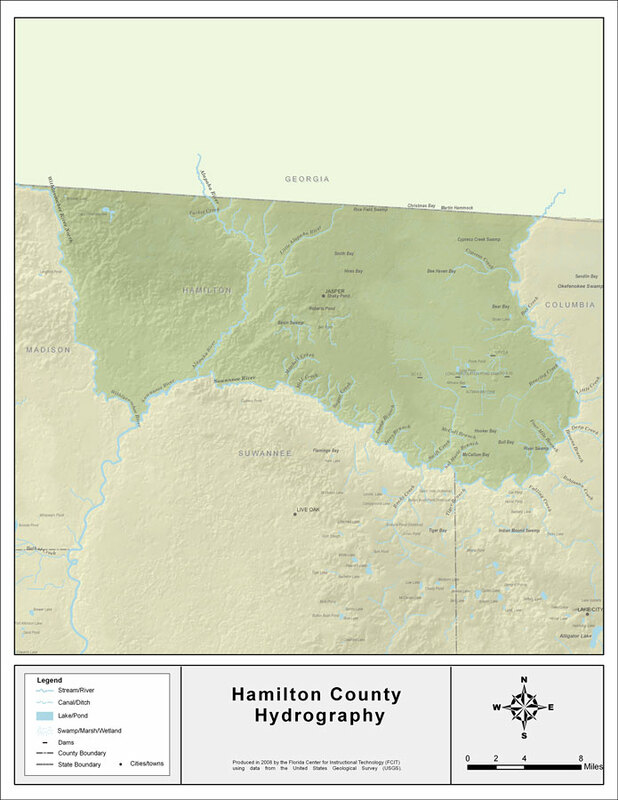 Description: This map was created by FCIT and shows the waterways of Hamilton County. All major rivers, streams, creeks, lakes, and swamps are labeled. This map features the Withlacoochee River, the Withlacoochee River (North), Alapaha River, Turket Creek, Alligator Creek, Alittle Alapaha River, Mitchell Creek, Mill Creek, Ratliff Creek, Sugar Creek, Camp Branch, Jerry Branch, McCall Branch, Swift Creek, Sal Marie Branch, Four Mile Branch, and Roaring Creek.